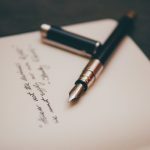 CLAUSES IN A LAST WILL AND TESTAMENT: WHAT HAPPENS ONCE I’M NO LONGER AROUND? Susie and Andrew’s worries are not all uncommon, since most seniors will be faced by these very same questions at some point in their future. Nevertheless, most fears can be allayed by having a notary draw up a will. However, you do have to know what should be included in the will. Quebec applies the freedom of testation principle, meaning almost any clause can be chosen and written into the will with only a small handful of legal restrictions. It is therefore recommended to create a list of assets and liabilities. Before thinking of what to write up in the will, you must know what it is exactly you will be passing on to your heirs. Will it be a home? Mutual funds or bonds? Jewelry ? Maybe sentimental heirlooms such as grandpa’s stamp collection or grandma’s antique furniture? Just by making a list of your assets will help give you a better perspective once you go see the notary. Goals are easier to identify once people have done a bit of tweaking on their lists and have a better idea of their current assets. Furthermore, each beneficiary’s situation can be evaluated in order to find out if there are any special needs, e.g. alcohol or drug abuse, and/or intellectual or physical handicaps. Marital status is also taken into consideration. Once all those thorny questions have been responded to, the will can begin to be drafted. As a rule of thumb, the will generally specifies how to divide the assets as well as ensuring that the financial blow caused by the passing will be kept to a minimum. 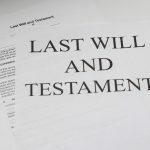 Into the will can also be written certain bequests that designate certain objects to be bequeathed to a certain person, a grandchild, a child or even a friend. Nevertheless, the best policy in these matters is to be very prudent. Indeed, when a certain object is bequeathed to its designated heir, you have to be absolutely positive that that person actually wants the item in question and that you will still have it in your possession whenever the time comes. For instance, some people can include the bequeathing of their automobile in their will but no longer have that vehicle when they pass away. Should that certain heir only be inheriting that vehicule, the situation could lead into inequities. To circumvent that potential scenario, the tendency nowadays is to designate a liquidator (previously called the executor) who is entrusted with the responsibility of dividing all the assets between the heirs. Also, there can be certain clauses within the will that are affiliated to the way assets are to be distributed. For example, the testator has the prerogative of specifying that the assets given to heirs are to be excluded from the divisible value in case those heirs should divorce or separate, matrimonial status and family patrimony notwithstanding. In certain cases, the will can also guarantee that no bequeathed asset can be seized by one or more of the heirs’ creditors. When faced with special-needs children or those who have not yet reached legal age, parents can opt for different testamentary trusts whereby the assets would be transferred totally to a trust managed by one or more trustees who will make sure the beneficiaries will not lack anything. 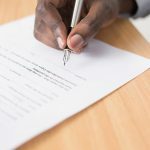 The more clauses that are added to the will can permit the deceased to, in a post mortem fashion, control at what age beneficiaries can access amounts given to them or even for where those monies can be destined. By the same token, there can be specific clauses included that can also assign a tutor for minors whenever necessary. Listed in the will is a certain place where the testator can express his or her last wishes as regards their funeral and burial. Instructions for every aspect and detail can be specified in the will, from the kind of ceremony (either religious or not) to how the body should be disposed of (burial, cremation or other) and the ashes (in an urn, in a columbarium or other). Should those details have been preplanned and prearranged in a funeral contract, the notary would solely have to refer to that document. In a will, in order to respect the heirs as well as the liquidator responsible for disposing of the estate, one’s wishes have to be as transparent as possible. When drawing up a will, one of the most pressing issues is to decide who the liquidator will be. It is quite a responsibility to shoulder. The chosen person must dispose of the estate, see to the funeral arrangements and even remit the checks to the heirs. Trust is the most important characteristic when choosing a liquidator. Indeed, the liquidator will have access to bank accounts in order to pay the bills and divide the assets. Thus, the liquidator must be honest and reliable and must know to seek help from professionals whenever the need arises. Furthermore, the liquidator needs to remain neutral and objective. Should there be a conflict among the heirs, the liquidator needs to be fair and non-judgmental. In most cases, the eldest member of the family is designated to be the liquidator; however, this is a mistake since the oldest sibling is not always the most competent to handle this enormous responsibility. All options have to be examined and even the notary can be asked for advice in this respect.